Wow on three fronts! 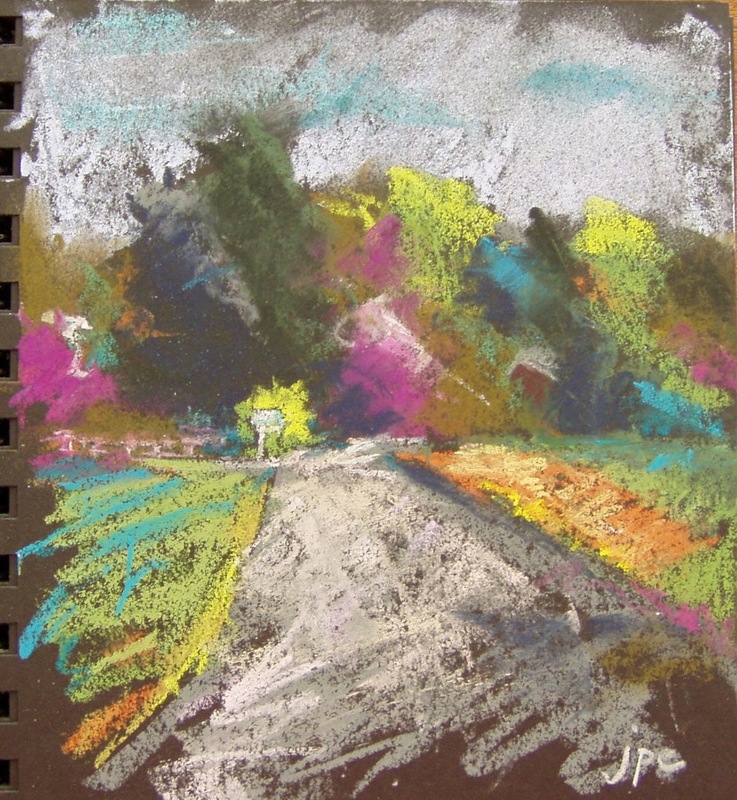 I love your pastel draing here with the mailbox at the end of the road. Then you gave voice to my searching for what? as I turn on my tablet once again to see what is new. And third, that’s a great poem especially for today as don’t all mothers worry that their children might get hurt or be unhappy or not do as well in life as they hope. (Believe me, it never ends – my kids are 37 and 38 and I still worry). Nature does seem to have a calming effect and I was just checking in one more time before heading out to sit and enjoy the warm (hot) day, lol. Going to get my iced tea… Happy Mother’s Day! Overwhelming, piercing thoughts on an electronic screen that ironically call us return to our days of play in new innocence and the need to rediscover our lives as new again. Perfection. You’ve hit it. Thank you! What a beautiful poem the Wendell Barry is – I have already sent it to a friend, who loves it too. And I was so happy with your brilliiant articulation of what it is we are looking for when we are online, or wherever. I particularly liked the way you expressed it as seeking to be ‘romanced’ by beauty. Thank you, as always. Something to think about, great post! I can always count on you to do my musings for me! This has been going through my head a lot lately, only without the clarity. Thank you once again! You are so welcome, Raena, and everyone! Thank you for continuing to visit here!! This is beautiful, Dad. Wow. Thank you.